By the end of 2016, 1.6 billion people will likely have a new gold investment standard for the first time in modern history. These 1.6 billion people are the Muslims of the world who constitute nearly 25% of the 6.9 billion people on the planet. This new 'gold standard' is the Sharia gold standard developed as part of a three-party collaboration between AAOIFI, the World Gold Council (WGC) and Amanie Advisors. The new standard is expected to act as an internationally recognised consensus on regular gold savings plans (gold accumulation plans), allocated and segregated gold bullion storage, gold certificates, physically-backed gold ETFs, certain gold futures and gold mining equities. Gold investment is currently allowed under Sharia law, given certain conditions are met. In the physical gold market today, there are a very few gold investment products or services, such as those offered by Goldcore, which are Sharia-compliant. We will explore what sharia-compliancy means in more detail but suffice to say that the lack of guidelines means there are few eligible gold investment products out their to meet Islamic investors’ requirements. Many non-Muslims will be familiar with the phrase ‘Sharia Law’. It has come under some attention in recent years throughout the world as people seek to understand Islam, how it is practised and what it means in the modern world. Whilst Sharia Law is based on the Quran and other sacred texts, it has been adapted in order to keep up with changing times, through the guidance of Islamic scholars. Many non-Muslims understand Sharia Law to be a set of laws that guide or govern how a Muslim lives their personal life. Few realise that it also guides the financial decisions of Muslims. Islamic Finance, the financial services industry that operates under Shariah Law, is rapidly growing in size and therefore importance. At present the Islamic Finance market is a small part of the global financial market, at just $2 trillion. But this is expected to grow. Standard and Poor’s believe it could reach US$5 trillion by 2020 as reported by Truewealth Publishing, Business Insider and MSN. Currently money managers within Islamic financial markets find themselves limited to Sharia-compliant assets such as equities, real estate an Islamic bonds (sukuk). There are virtually no official sharia-compliant gold products on the market. There has been awareness that change is afoot in the gold market, by gold commentators for the last eighteen months or so. For many the passing of Sharia-compliant guidelines means a huge surge in gold demand and therefore the gold price. But can we really expect this from a diverse group of people who happen to share a religion? When people talk about Sharia or Islamic gold, they are referring to gold or gold investment products that are Sharia compliant. However in Islam gold is a special case. “Gold is very much Shariah compliant in terms of using it as a commodity. But there are certain conditions from a Shariah point of view which are enforced on gold and not on other commodities,” Dr Mohamad Akram Laldin, the executive director of International Shariah Research Academy for Islamic Finance, explained to IFN. In Islamic texts gold is a Ribawi item and investors need to practice caution when investing in it to ensure that it meets certain conditions. A Ribawi item in Sharia law is an item that must be sold on weight and measure. There are six Ribawi items: gold, silver, dates, wheat, salt and barely. As a Ribawi item gold cannot be traded for future value or for speculation. In most cases trading gold futures contracts is haram and forbidden or proscribed by Islamic law. It is speculation and not backed by physical gold, the price can be volatile and you can end up paying or receiving interest on your trading account. This means that gold investment has been limited to its use as a currency and jewellery, as the earning of interest is forbidden. The immediate transfer requirement means that speculating on future values is not allowed. This makes it tricky in the area of gold futures and other paper gold products. With gold investment platforms such as Goldcore able to offer segregated, allocated gold bullion accounts with the option of physical delivery Muslims are able to invest in gold bars and coins. However, there has been no consensus on the trading of gold as a commodity, owning companies that hold gold assets (e.g. an ETF), gold futures allowing delivery etc. Why the need for a new gold standard? WGC data shows that in the last eight years (when reliable data first became available) the major Islamic asset classes (including REITs, the Takaful index, the Dow Jones Islamic Equities Index and the Dow Jones Sukuk Index) have all underperformed compared to gold, as have the major currencies used in the Islamic world. Since 2000, gold has risen 367% in US dollar terms (Gulf Cooperation Council currencies are pegged to the US dollar), 393% in Malaysian Ringgit terms, and 762% in Indonesian rupiah terms. Whilst Muslims are able to invest in gold there is clearly a lack of understanding and consensus for how Sharia law can be applied to today’s vast number of gold product offerings. Hence why the WGC and their partners, believe a gold standard will be beneficial to both Muslims and the gold market. The new Sharia gold standard will set a future path in place for gold products and those who invest in Sharia-investible assets. Once the Standard is announced on December 6th, we are likely to see increased development of new products due to the increased customer base and some diversification amongst Shariah-compliant offerings which will likely offer options for savings, hedging and diversification. So far, none of these things have been available on a standard Sharia compliant basis. “Gold for its nature could fit into HQLA buffers that Islamic banks could hold…Since the financial crisis, banks have been required to set aside pockets of so-called high-quality liquid assets to protect them against another systemic liquidity crisis…Basel gave national supervisors in Islamic jurisdictions the right to define high-quality liquid assets themselves. And I think gold will fit very well there. It is an extremely liquid market." It is believed that it will state that gold investments must be backed by physical gold. In truth, whilst there have been some draft rounds of the Standard and quite a bit of publicity, no one knows what is set to be revealed in the ‘guidance’. It may still exclude gold futures contracts, a draft by the WGC states that whilst gold as a currency can be traded on a spot basis, however if it is seen as a commodity then it could be the subject of a future sale under the principle of salam, or deferred delivery sale. The gold standard draft will likely approve holding gold in ETFs, derivative contracts, investment accounts and Islamic bonds. What the standard will not include is guidance on the sourcing of gold, which is unsurprising in some respects as their is nothing directly about this in the Quran. However, it does require its followers to be ethical - something that is an important issue in the gold market these days. “It will provide clarity on gold’s use in financial services and harmonise the relevant rules across markets, thereby creating greater access to gold,” said Natalie Dempster, Managing Director, Central Banks and Public Policy, WGC. The final point above, to achieve a ‘Greater role for the Islamic finance industry in global gold price discovery’ is one that is playing on current gold market participants’ minds. There are estimated to be around 1.6 billion Muslims around the world. Given the extent to which the gold market looks to Chinese and Indian demand in terms of demand, supply and price changes this move will likely come to have a very significant impact on the dynamics of the gold market. The role of price discovery has been, up until recently, shared between the London Gold Market and the LBMA and the COMEX. However there has been a new dawn and the new policies from China regarding all aspects of the gold market have put the wheels in motion. Earlier this year the Shanghai Gold Benchmark was launched by the Shanghai Gold Exchange, seen as China’s step to “increase its weight in the global pricing of gold,” according to the People’s Daily. When the benchmark was announced Marwan Shakarchi, chairman of Swiss-based refining group MKS (a Shanghai gold Exchange member) was quoted as saying that China is “a market of 1.2 billion people and simply cannot be neglected.” This step was seen as the first of many toward internationalisation of the Chinese Gold market. The Islamic world is obviously different to the Chinese and Indian gold markets - dispersed geographical location, different exchanges, different nationalities, regulations and customs. However, it is worth remembering that the majority of Muslims reside in countries where there is still a strong view that gold is money and a strong store of value. In countries such as Pakistan with tricky geopolitical status, or Malaysia and Indonesia with a fluctuating currencies, one can expect to see an increase in demand for Sharia compliant gold products. And, therefore, a change in dynamic in the gold market. The places to watch are Bahrain, Qatar, Indonesia, Saudi Arabia, Malaysia, United Arab Emirates, Turkey, Kuwait, Oman and Pakistan which currently represent 93% of Islamic financial assets within their financial institutions. Whilst one of the bodies involved in setting the standard, the AAIOFI, is based in Bahrain, we expect to see Dubai gain some serious influence with these changes. The Emirate plays a significant role in both the physical and paper gold markets. Over $75 billion worth of gold, or about 40 per cent of the world's physical bullion exchange, was traded through Dubai in 2013, according to the Dubai Multi Commodities Centre (DMCC). This is a city with very strong vision over what it can achieve in the gold market. “In 2003, Dubai traded US$ 6 billion in gold; in 2012, it was US$ 70 billion. Even taking into consideration gold’s phenomenal price rise over this period, Dubai has doubled the tonnage traded through the Emirate,” according to the Dubai Multi Commodities Centre (DMCC). Currently the Dubai Gold and Commodities Exchange (majority owned by the DMCC) already has active gold futures trading and earlier this month it announced that it would become the first foreign exchange to list Shanghai gold futures. It is clear that it has set itself up to compete with the likes of Singapore as a gateway between the East and the West, and in the meantime will play an increasing role in this increasingly globalised financial and increasingly important physical gold market. The launch of a Sharia Gold Standard, is also an opportunity for those in the West, who are determined to maintain some control over price discovery. In London, the London Metal Exchange (LME) is the central clearing hub for Shariah compliant commodity trades. Given their recent work on updating their role in the gold market it will come as no surprise that they are reportedly looking at a gold futures contract that could be settled based on the physical delivery of gold bars. This is what the Chinese have done with gold bars in a kilo format on the Shanghai Gold Exchange (SGE). Should this happen, the LME exchange likely already has the right relationships in place to leverage a new Sharia gold standard. It is important to retain the important point that the new gold standard will stress the need for underlying physical gold, in whatever gold products are bought. Whilst the likes of the COMEX gold market are able to grow to multiple times the size of the underlying physical market, with little impact on physical demand, this will no longer be case. Especially with the likes of China enforcing similar rules. The World Gold Council have stated that we can expect to see an additional demand of ‘hundreds of tonnes’ once the sharia gold standard has been approved. 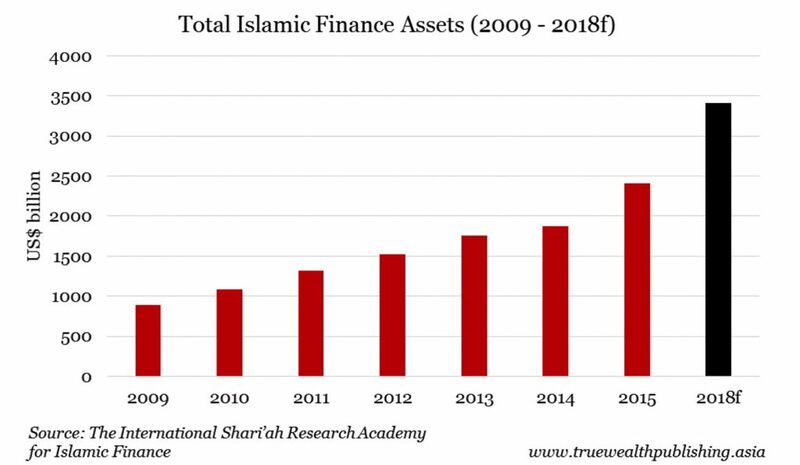 If just 2% of the assets currently managed by Islamic finance institutions are invested into sharia-compliant gold products then we can expect to see over 1,000 tonnes of additional gold demand. Should these numbers come to fruition this will have a major impact on supply, as well as demand. Without the existence of a formal Sharia Gold Standard, total global gold demand was just under 1,000 metric tonnes in Q3, whilst total global gold supply was just over 1,000 metric tonnes leaving a surplus of 172 metric tonnes. Should Islamic Finance begin to create significant additional demand in the gold market, then we should see these demand and supply issues in the gold market leading to higher prices. It is always important to remember the very small size and rarity of physical gold in the world. Physical gold is both finite and extremely rare and all the gold ever mined would fit into a giant gold bar the size of a four bedroom house. It is roughly 22 metres cubed and would fit on the center court of Wimbledon - see GoldNomics video. While we do not know the details of what will be announced on the 6th December, we do know the most important aspects. Indeed, GoldCore have for a number of years been working on a Sharia compliant gold bullion solution for the institutional market and have strong partners who we are working with today. The changes will affect the physical gold market globally, 1.6 billion people will be able for the first time to use gold bullion products and platforms that offer physical delivery, allocated and segregated gold ownership. As we reported on last month, the impact of religious festivals on the gold market is monitored all over the world. We can expect to see similar changes and dynamics come the arrival of the Sharia Gold Standard. However, this is an entire financial market that will coming into the physical gold market. Unlike with religious festivals etc, we will see an increase in the number of structured, well-marketed and regulated financial products that have been designed to offer physical gold to sophisticated investors including high net worth (HNW), ultra high net worth (UHNW) and indeed family offices. This will not only impact the physical gold market, but it will impact the current roles in price discovery and how 1.6 billion people choose to invest in and hold gold coins and bars. To us, this could not have come at a more pertinent time. 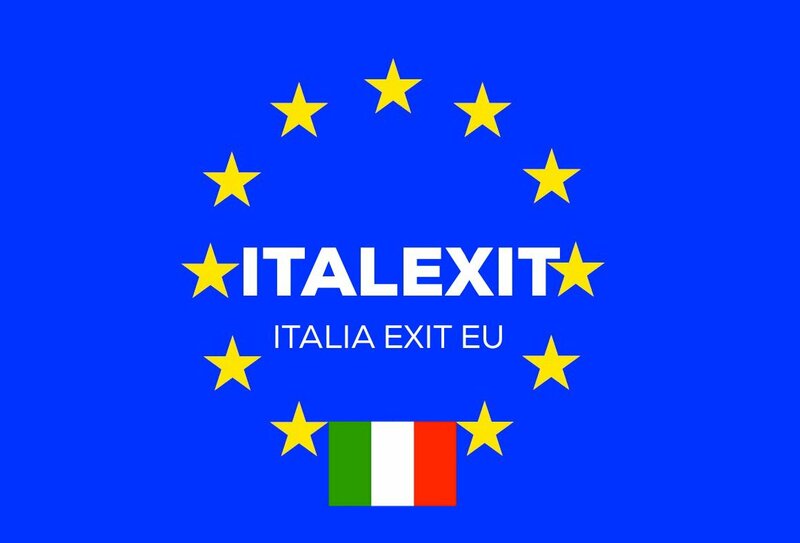 The West is coming under increasing economic and political pressure as the 'Silk Road' nations of the Middle East and Far East, including Russia and China, continue their rise and become more powerful. It is without surprise that the Silk Road nations continue to assert their independence from western dominance and monopoly - including in financial markets. And it is with even less surprise that they are doing this through gold. - The London Gold Market – ripe for take-over by China? - Diwali, Gold and India – Is Love Affair Over?